I personally don’t, but I admit that I have loads of fun reading the characteristics and personality of each sign sometimes. Even though it’s not very scientific, zodiac has always fascinated a lot of people, right? 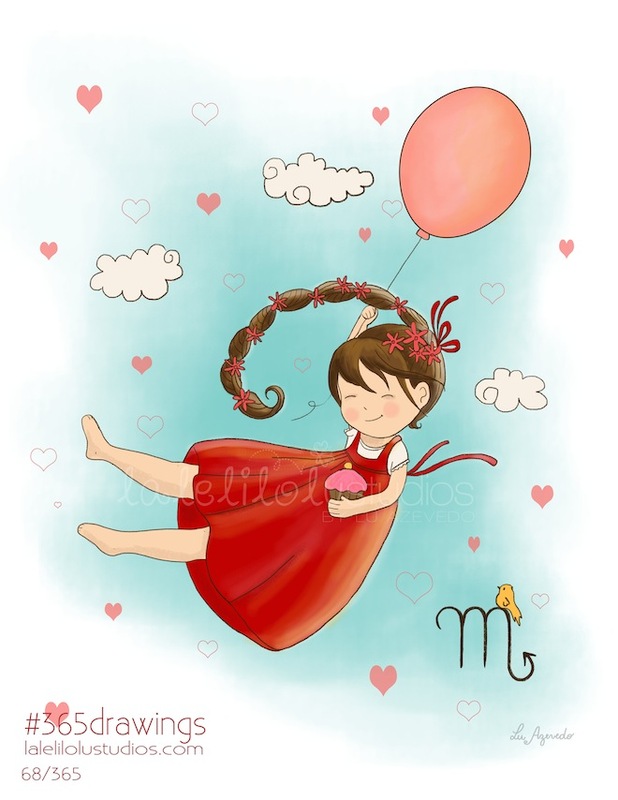 That’s why I wanted to create a drawing of each zodiacal sign, but making a cute interpretation of their symbols. 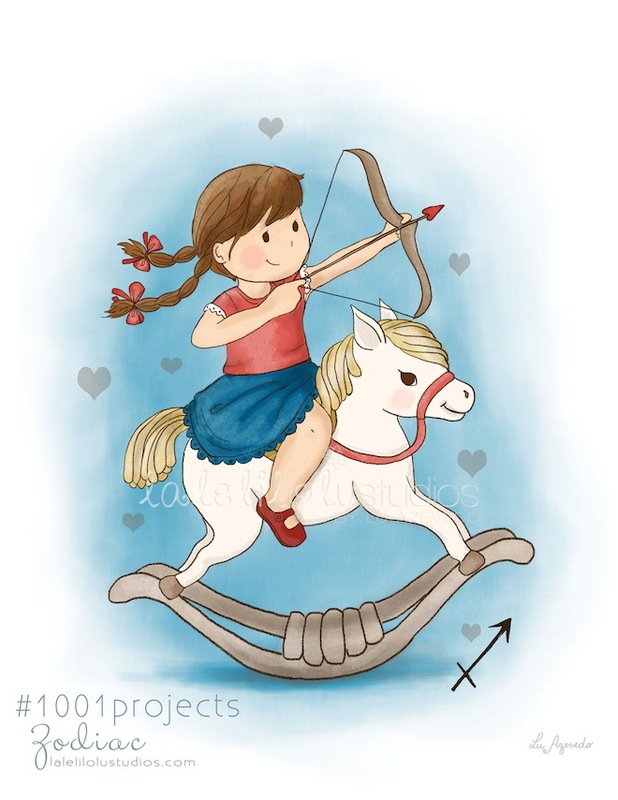 I started with Scorpio (my sign), followed by Sagittarius and Capricorn – each one done in its correspondent period. So in October I’ll have 12 cute zodiac illustrations for children. It will be only girls in the drawings and I can easily personalize the hair colours and add the name of your little girl to the print. So Aquarius is coming next! Stay tuned!